Come laugh, make friends, eat well, feel secure, have fun and feel the love Eskaton has to offer. Eskaton FountainWood Lodge is a distinctively designed one-story, gated community on seven acres nestled in the heart of rural Orangevale. It offers an ideal combination of security and beautiful surroundings. Fair Oaks, Citrus Heights, Roseville, Granite Bay and Folsom are all within 10 minutes of Eskaton FountainWood Lodge. Mature shade trees, fountains and peaceful sitting areas distinguish Eskaton FountainWood Lodge as a healthy, enjoyable place to call home. Private apartments, many with beautiful garden views, feature new flooring, window treatments and customized paint. We provide around-the-clock caregivers and licensed nurses on site daily. Eskaton offers lifelong learning programs — with art workshops, computers, foreign language classes and the award-winning Eskaton Kids Connection. Exercise classes, social activities and fun day trips are also on the calendar for those who wish to partake. 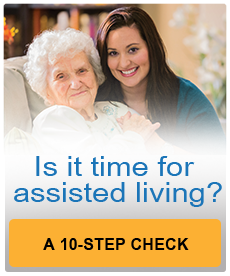 Assisted Living - The Lodge's assisted living provides residents with support for everyday living tasks and healthcare, as well as dining, housekeeping, transportation, exercise and social programs. Memory Care - The Memory Care Center is designed to offer a supportive and secure environment for individuals with memory impairment. The Lodge's home-like setting and specially trained staff represent Eskaton's commitment to dignity and quality of living for all residents. Our staff members are trained specifically to working with residents with Alzheimer's disease and similar conditions. Respite Care - Respite Care provides the option of short-term support for older adults and caregivers. Meals, activities and around-the-clock supervision are included. Levels of Care - We offer four levels of care. The level of care will be determined through an assessment of the resident by a professional staff member before move-in. “Deciding on a place for my Dad was extremely hard for me. But as soon as I entered Eskaton FountainWood Lodge I knew this was where my Dad belonged. The loving and caring nature of everyone made my decision very easy and comforting.